Our 2019 farmers market season is fast approaching beginning May 11th in Cumberland and May 15th in Falmouth. 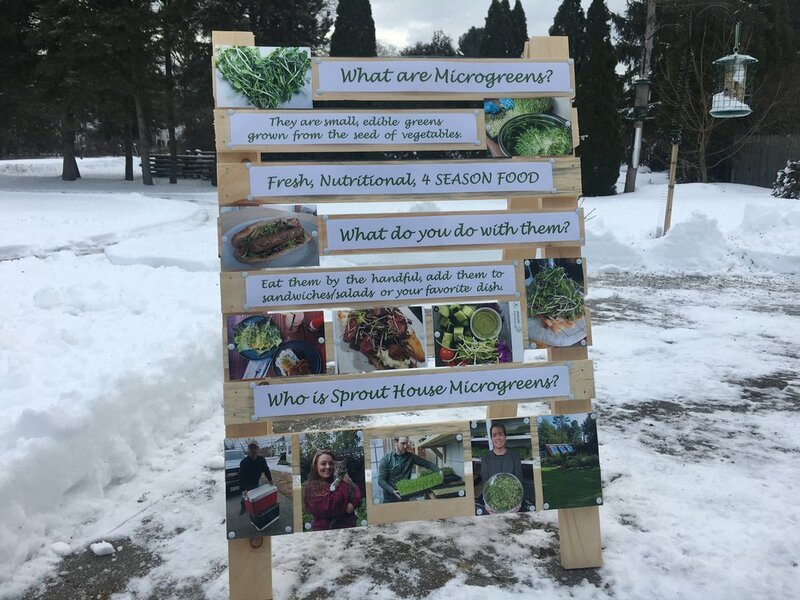 Sprout House Microgreens is the newest vendor at the farmers market. Run by Adelle Lewis, Patrick Lewis and Brian Charles, you will see them each week on Saturday in Cumberland selling their delectable greens. For them it’s been a long-time goal to grow and sell a useful product from their home-based greenhouse. Microgreens had been suggested by a friend and after doing more research and trials, they decided to establish Sprout House Microgreens. One of their goals is to share the nutritional benefits of microgreens. Another goal is to build a sustainable business while providing fresh nutrition to their customers. Microgreens are a unique product because the small delicate greens are only 10-12 days old when packed compared to the lifecycle of other greens you may be used to purchasing at the market. Sprout House Microgreens generally have 2 sowing days per week resulting in 2 harvests per week. They use non-gmo seeds and organic certified soil and tend to the plants care daily. 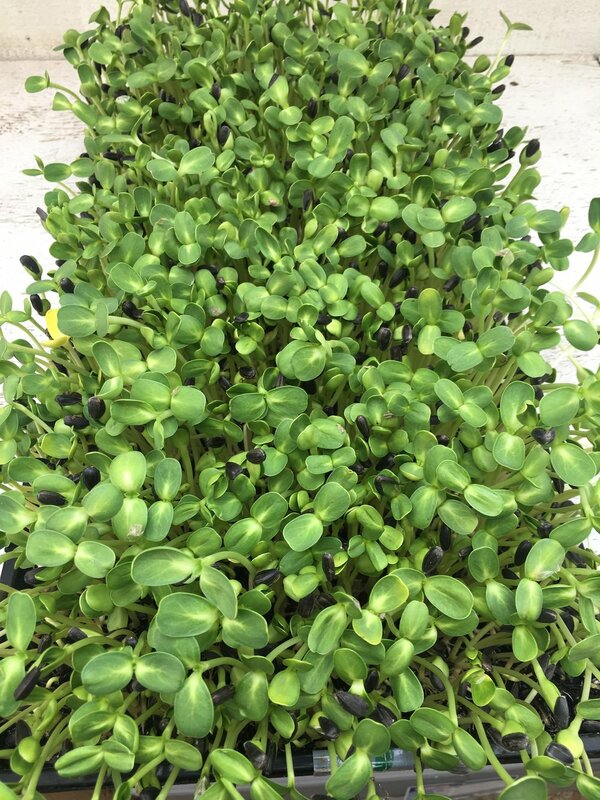 Sprout House Microgreens are offering 2 mixes including a mild and a zesty mix. The mixes will have an assortment of sunflower, pea shoots, broccoli, Rambo radish and Daikon radish. What’s a Rambo radish? You’ll just have to ask them on Saturdays! Join their social medias on Facebook @ Sprout House Microgreens and Instagram at Sprouts207 #sprouthousemicrogreens.